Recorded at Wally Heider Studios in April 1969. The third CCR LP was recorded at Wally Heider Studios between March and June 1969. The third QMS LP was recorded at Pacific High and Wally Heider Studios during July and August 1969. The fourth Steve Miller Band LP. Recorded at Golden State Recording, Wally Heider Recording and Columbus Studios in San Francisco. Recorded at Wally Heider's Studios in Los Angeles and San Francisco during the second half of 1969 and released in March 1970. Recorded at Wally Heider Studios at the start of January 1970. The fourth Blue Cheer album. The second Santana album was recorded at Wally Heider's uring April and May 1970. Recorded at Vault Recording Studios in Los Angeles and Wally Heider Studios in San Francisco in April and May 1970. The second It's A Beautiful Day LP was recorded at Wally Heider's and Pacific High. Part of Blows Against The Empire were recorded at Wally Heider's. Partly recorded at Mercury Sound Studios and mixed at Wally Heider's. Recorded at Wally Heider Studios, San Francisco, Coast Recorders, San Francisco and Sunset Sound Recorders, Los Angeles. Recorded at Wally Heider's in 1970. Recorded at Wally Heider's in August and September 1970. Recorded at Cinderella Sound in Nashville and mixed at Wally Heider Studios in San Francisco. Recorded at Wally Heider Studio D in San Francisco probably in 1970. Released privately in 1970 and then on Uni Records in 1971. The second Eric Burdon and War album. Recorded at Wally Heider Studios in December 1970 and released on Warner Brothers in 1971. Recorded at Wally Heider's in 1970 and released in early 1971. Recorded at Wally Heider's in November 1970. This LP that was probably recorded at Wally Heider's in 1970. Partly recorded at Wally Heider's in 1970 and released in 1971. A double LP that was recorded at Wally Heider's in November 1970 and released in 1971. A double LP that was recorded at Wally Heider's in 1970 and released in 1971. Recorded at Wally Heider's in late 1970 and released in Febrary 1971. The debut NRPS LP was recorded at Wally Heider's in December 1970 and January 1971. Recorded at Wally Heider's in January 1971 and released in 1976. Recorded at Wally Heider Studios during the first half of 1971. Recorded at Wally Heider Studios in San Francisco and Los Angeles during the first half of 1971. Recorded at Wally Heider's in July 1971 and released in January 1972. The third solo LP from Boz Scaggs. Recorded at Wally Heider Studios during the spring and summer of 1971. Recorded at Wally Heider Studios in San Francisco and Los Angeles and at Crystal Studios in Los Angeles. Recorded at Western Recorders in Los Angeles in May 1971 and Wally Heider Studios in San Francisco in September 1971. Recorded at The Chateau Liberte and mixed at Wally Heider's in San Francisco. This album was recorded at Wally Heider's. Partly mixed at Wally Heider's. The fourth Brewer & Shiplay album recorded at Wally Heider Studios and released on Kama Sutra in November 1971. Recorded at Wally Heider Studios and released on Grunt in December 1971. Recorded at Wally Heider Studios in San Francisco partly in mid-1971 and partly in December 1971. Originally intended to be released as two separate LPs (Solus and Inner Source) but due to record company problems the sessions were eventually released on a double LP in 1973. Recorded at Wally Heider Studios in San Francisco in September 1971. Recorded at Wally Heider's on September 28 and 29, 1971 and released in 1972. Recorded at Wally Heider's in November and December 1971 and released in February 1972. Recorded at Columbia Recording Studios, San Francisco on August 17 & 18, 1971. Mixed at Wally Heider Recording, San Francisco in late 1971. Released on Blue Thumb in March 1972. Saint Dominic's Preview, the sixth solo Van Morrison album, was partly recorded at Wally Heider's in 1971. Five tracks of this LP were recorded at Funky Features in December 1971. The other five tracks were recorded at Wally Heider's in August 1971. Recorded at Wally Heider's in early 1972 and released in May 1972. Recorded at Wally Heider Studios and released on the Grunt label. Recorded at Wally Heider Studios during March, April and May 1972. The fifth Brewer & Shiplay album recorded at Wally Heider Studios and released on the Kama Sutra. Recorded at Wally Heider's in Los Angeles and San Francisco. Recorded at Wally Heider's in 1972. Partly recorded at Wally Heider Studios and released on the Grunt. Recorded at Wally Heider's and released on Kama Sutra. Recorded at Wally Heider's Studios in San Francisco and released on Atlantic. Recorded at Wally Heider's Studios in San Francisco and Los Angeles. The third Cold Blood album. Recorded at Wally Heider's and Different Fur Studio in 1972 but not released until 1973. Recorded at The Record Plant (LA), Wally Heiders (SF), The Record Plant (Sausalito) and Columbia Records (SF) between Oct 1972 and Feb 1973. Mixed at Columbia Records (SF) in March 1973 and released on Columbia. Recorded at Wally Heider Studios in November and December 1972 and released in 1973. The first solo Betty Davis album. Live performances recorded by Wally Heider Remote and mixed at Wally Heider Studios. The fourth Cold Blood album. This album was partly mixed at Wally Heider's in San Francisco. Part of this album was recorded at Wally Heider's. Part of this album, the third Hoodoo Rhythm Devils album, was recorded at Wally Heider's. Released on the Grunt label. Recorded at Wally Heider's and Different Fur Studio in San Francisco. The first Pointer Sisters LP. The third Tower Of Power album. Recorded at Wally Heider Studios, San Francisco; Different Fur Trading, San Francisco and the Lacquer Channel, Sausalito. One track of this LP (I'm A Hog For You) was recorded at Funky Features in 1971. The other tracks were recorded at Wally Heider's in May 1973. This album was recorded at the Kaye-Smith Studio in Seattle and the Wally Heider Studio in San Francisco in the Summer of 1973. Jerry Garcia and other Bay Area musicians play on this LP. Recorded in the Summer of 1973 and released in January 1974. Five tracks on this album were recorded at Wally Heider Studios in San Francisco in September 1973. The other tracks were recorded in Englewood Cliffs in 1971 and New York City in 1972. One track on this album was recorded at Wally Heider Studios in San Francisco in September 1973. The other tracks were recorded live at the Ash Grove in Los Angeles in 1973. Recorded at Wally Heider Studios in October 1973. Most of this album was recorded in Boston, Some additional recording was undertaken at Wally Heider Studios in San Francisco. The album was recorded in 1973 but not released until 2000. Recorded in 1973 and released in January 1974. Five of the tracks on this CD of archive recordings are demos recorded at Wally Heider's in December 1973. Recorded at Wally Heider Studios in San Francisco in January 1974. Partly recorded at Wally Heider's Studios in San Francisco. Partly recorded at Wally Heider's in San Francisco. Recorded at Burbank Studios, Burbank; Western Recorders, Los Angeles and Wally Heider Studios, San Francisco. Mainly recorded at Wally Heider Studios in San Francisco. Recorded between 1972 and 1974. Mixed at Wally Heider's in San Francisco. Some overdub recording and mixing for this album was done at Wally Heider's. One side of this LP was recorded at Wally Heider's in San Francisco. Recorded at Wally Heider's and Different Fur. Partly ecorded at Wally Heider's Studios in San Francisco. Recorded at Wally Heider's in August 1974. The sixth Brewer & Shipley album. Recorded in the Fall of 1974 and released in May 1975. Recorded at Wally Heider Studios in Los Angeles in December 1974. Remixed at Wally Heider Studios in San Francisco probably in early 1975. Released on Blue Note in March 1975. 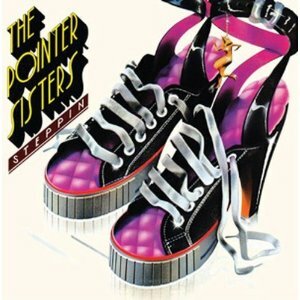 The third Pointer Sisters LP. Recorded at Wally Heider Studios in April 1975. The first post Herbie Hancock Headhunters album. Recorded at Wally Heider Studios in May 1975. Recorded at Wally Heider Studio, San Francisco. Mastered at Columbia Studios, San Francisco. This album was mixed at Wally Heider Studios in San Francisco. Recorded at Wally Heider Studio, San Francisco and Village Recording Studios, Los Angeles. The third Graham Central Station album. Most of this Motown album was recorded in Detroit and Muscle Shoals. Some vocal tracks were recorded at Wally Heider Studios in San Francisco. Recorded in the Summer 1975. This collection of early demos includes tracks recorded at Funky Features and Wally Heider's. The seventh Santana studio album. Recorded at Wally Heider Studios in April 1976. Recorded and mixed at Wally Heider's. Recorded at Wally Heider Studios in 1976. Recorded at Wally Heider Studios in August 1976. The eighth Santana studio album. Recorded at Wally Heider's in San Francisco. Recorded at Spectrum Studios, Venice, CA and mixed at Wally Heider's in San Francisco. The fourth Graham Central Station album. Recorded at Wally Heider Studios in San Francisco and Cherokee Recording Studio in Los Angeles. Some overdubs on this album were recorded at Wally Heider Studios. The two B.B. King tracks on this album were recorded at Wally Heider's Studios on December 11, 1976. Recorded at Wally Heider Studios in March 1977. Partly recorded at Wally Heider's Studio. Recorded at Wally Heider Studios in San Francisco. Released on the Olivia label. Recorded at Wally Heider Studios in San Francisco and and at Chateau Recorders, Hollywood. Partly recorded at Wally Heider's. Recorded in the Summer and Fall of 1977 and released in 1978. Recorded at Fantasy Studios and Wally Heider's in 1977. Recorded live at the Theatre 1839 in San Francisco in August 1977. Additional recording at Wally Heider's Studios probably in late 1977. Released on the Grunt label in early 1978. Recorded at Wally Heider Studios in San Francisco in May and June 1978. Recorded at Wally Heider Studios and released on Capitol in 1978. Recorded at the Automatt in San Francisco and mixed at Wally Heider Studios in San Francisco. At archive collection that includes two tracks recorded at Wally Heider's in June 1978; two tracks recorded at Different Fur Studios in October 1978 and 8 tracks recorded live at the Old Waldorf in June 1979. Recorded at Wally Heider Studios in San Francisco. Released on the LAX label. Recorded at Wally Heider's Studios. Released on the Kaleidoscope label. An expanded CD with additional tracks and alternate takes was released in 2004. Recorded at His Masters Wheels Studio and 1750 Arch Street Studios and mixed at Wally Heider's Studios. Recorded at Wally Heider's Studios and released on the Berserkley labe;. Recorded and mixed at Wally Heider's Studios in 1980. Partly recorded Wally Heider's Studios in San Francisco. One track on this archive release was recorded at Wally Heider's in San Francisco sometime between 1969 and 1973. Most of the other tracks were recorded live at at Mr. D's, San Francisco in May 1968. Wilderness America : A Celebration Of The Land, 197? Recorded at Beggs/AZ, San Francisco. Additional recording at Golden West Recorders, Los Angeles; Different Fur Music, San Francisco and Wally Heider's Studio, San Francisco.